Planning your trip to Essaouira? Already booked it? My e-book, The Best of Essaouira gives you the lowdown on how to make the most of your stay (and your precious time off)! FULLY REVISED 2ND EDITION NOW AVAILABLE! DOWNLOAD YOUR COPY TODAY! 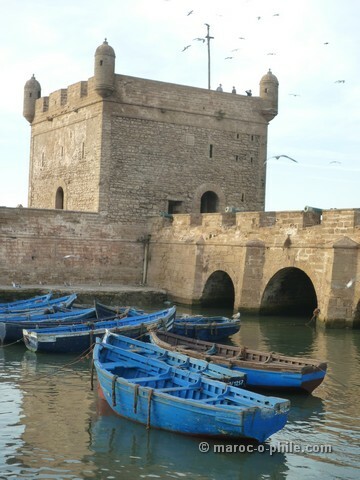 Essaouira is just 2.5 hours from Marrakech, which makes it an easy day trip from the ‘Red City”. A quick glance through the travel reviews will show you though that once they’ve left the hustle (and hassle) of Marrakech behind, most tourists regret not spending longer in this coastal town. To make the trip even easier, direct flights now operate from London to Essaouira. This small coastal city was once the bustling port for Timbuktu, where Chinese green tea (and British teapots) entered Morocco and from which spices, slaves and silver left. Today Essaouira has a relaxed, slightly windswept vibe guaranteed to ruin your schedule and force you to chill out. No matter how much time you have here, you don’t want to waste it. The Best of Essaouira gives you the lowdown – three choices in each category of the best places to eat, sleep, shop, watch the sunset and grab an elusive beer. Likewise, three ways to meet locals, to give back to the community and to get out into the countryside. And much more: The Best of Essaouira contains over 75 top tips in a concise, downloadable e-book. It takes no extra space in your luggage and it’s all you’ll need. All for only £3.49. Download it by clicking the button below. NOW AVAILABLE ON KINDLE! If you have a Kindle device, or would like to pay in Euros, please download The Best of Essaouira from your local Amazon store. 20% of the sales of this book go to Association Bayti, a local charity in Essaouira supporting kids from difficult social and family backgrounds. If you would like to support kids’ education in Essaouira (whether you buy the book or not), please click here. Thanks to book sales and other activities, this campaign has already raised over £10,000! If you have additions, amendments, reviews and suggestions for the Best of Essaouira, please make them in the comments box, below. 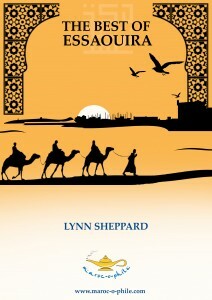 Author of The Best of Essaouira, Lynn Sheppard, left a successful career in international relations and diplomacy to pursue her dream of living in Morocco in 2012. She has lived and worked across the globe and speaks 6 languages, but it was Essaouira, on Morocco’s Atlantic Coast, which she first visited in 2001, that captured her heart. Having lived there now for more than two years, supporting local non-profits on project management, fundraising and social media; advising travel companies on the local area and writing for her maroc-o-phile.com blog, she has become an expert on all things Swiri (ie. Essaouiran). Living and working among locals and expats, she experiences Moroccan culture from the inside, while her extensive travel experience means she can judge exactly what tourists want. Lynn loves international cuisine and cooking and hopes soon to launch Moroccan gourmet tourism and a Moroccan-themed catering business in the UK. Hi Lynn. Great website/blog, thanks! Don’t know why I’ve never found it before. Returning to Essaouria on a direct flight from London Luton in July….can’t wait although I understand it shall be Ramadan, which I suppose offers a different perspective. Thanks again for the great site. First of all thank you for “Maroc-o-Phile”. It’s such an informative website! I’m a Visual Artist and I come from Enniskillen County Fermanagh, N. Ireland. So far I’ve spent 5 weeks in total over the past year and a half visiting Essaouira and I have fallen head over heels in love with the place. So much so that I am seriously thinking of buying an apartment there. I intend to go back for a week in December 2016 (if all goes according to plan) to view properties. Could you tell me Lynn does the equivalent of rates exist in Essaouira? and if so roughly how much are they annually? Also do you think that it’s safe for a foreign woman to live on her own in Essaouira? 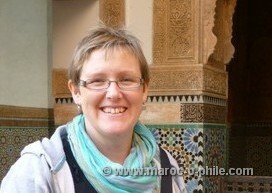 I hope to find a place in the Kasbah area. I have also requested to join your Essaouira Expats page for further information. I don’t know what it is about the place that is so utterly captivating but it is. I am a true Maro-o-phile now! Looking forward to hearing from you. best wishes. I’m glad you like the site and thanks for buying the eguide! I’ll reply to your mail as soon as I can, but on all the ins and outs of property owning, you are best to ask those who do via the Expats group. Post a question and I’ll tag some folks who could help answer it. Good luck with your house hunt! There are plenty of foreign women living alone in the medina, I’m sure if you follow all the usual precautions you’ll be fine! “The Best of Essaouira” is a comprehensive, practical guide to the city. More than anything seen on TV or scanned in media articles, reading this clear and informative guide has boosted my desire to visit Essaouira *and* soothed any concerns about the “visit-ability” of the city. Unlike other guides, the information inside “The Best of Essaouira” is as current as you would hope it to be, and the top tips aren’t padded out with superfluous commercial ventures. As a proportion of the profits from the ebook go to supporting a local association that helps marginalised children, you get to give *and* receive in the purchase of the book. Highly recommended! Thanks for buying my book and for your lovely review, Jane! Hope to see you in Essaouira some day, incha’Allah! What a lifesaver for our slightly impromptu trip to Essaouira last month! We didn’t have time to do much research before we went, so I downloaded Lynn’s e-book and took it with me, definitely the best travel ‘bible’ we’ve ever used on the ground on our travels! Thanks to the tips we saw all the main sights, a few lesser-known ones that we would otherwise have missed, and had the best night out of our entire 2 week trip at the Caravane Cafe, thanks to the suggestion in the book. It’s great to be able to trust a resource like this, knowing that it is written by someone who actually lives there and knows all the insider secrets. Great guide, thanks so much! Thanks for your review, Heather – I am glad you enjoyed your trip to Essaouira and that The Best of Essaouira helped you make the most of it! Congratulations on your blog! I am a native of Essaouira. I am writing a novel with a jewish cultural background, trying to shed light on elements of history covering almost the whole of nineteenth century Essaouira. I am writing in English, And I wonder if it would be possible at all for you to advise me on available opportunities for publishing the novel and reaching English speaking jewish communities of Essaouira origins. Thanks for your comment. I am no expert on publishing (I have only done e-publishing). I think to reach the English-speaking Jewish community of Swiri origin, you need to speak to Haim Bitton at the Slat Lkahal synagogue. If you are writing about Essaouira 19th century history, I am sure you know him. If you need his contact details, do send me an e-mail. I am currently conducting some research into 19th century Jewish Essaouira and would like to chat to you about your work, if you would be willing? If so please advise an email address. The obvious sectors for English-speakers to find work are in tourism and teaching. 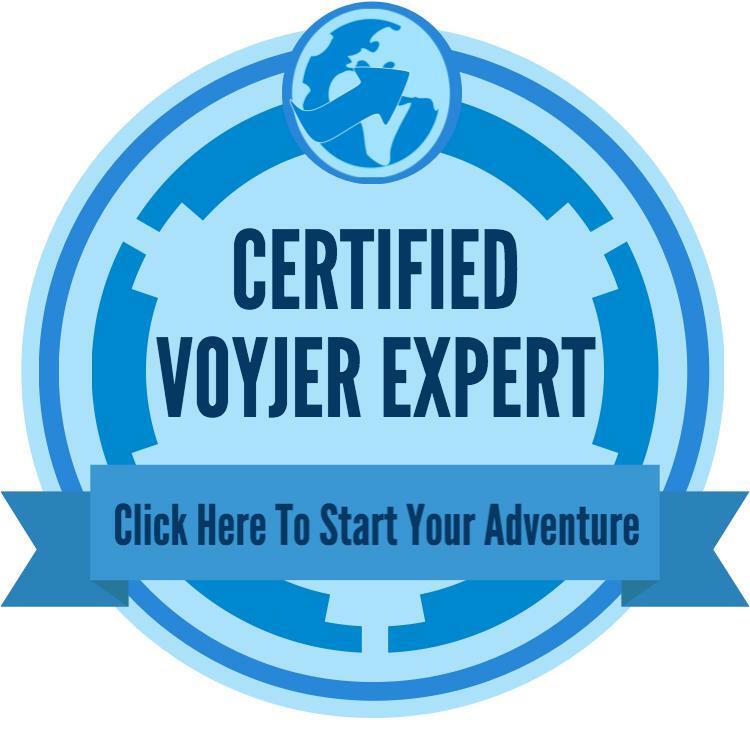 To be official and legal, as a foreigner, you will need to set up your own company or get an employer to prove that a Moroccan couldn’t do the job. This is possible, but it’s a bureaucratic process (designed to prioritise Moroccans in the labour market, which, given unemployment rates, is understandable). For more information on employment in Morocco, you can ask at the Anapec (Employment) office in Essaouira. Any taxi driver can take you there. Get an Essaouira itinerary from a local!